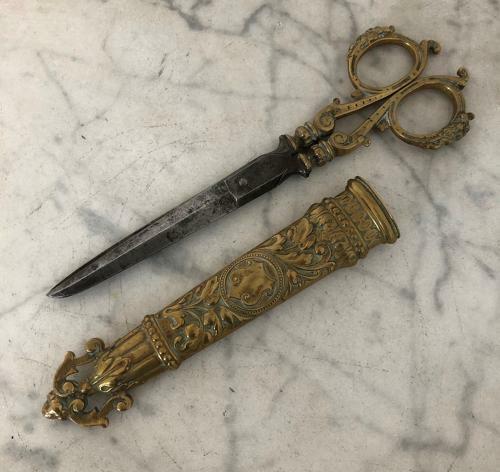 Victorian Brass and Steel Scissors with their Original Case. Superb Condition and fully working. Lovely case with Shield one side and Crown the other.